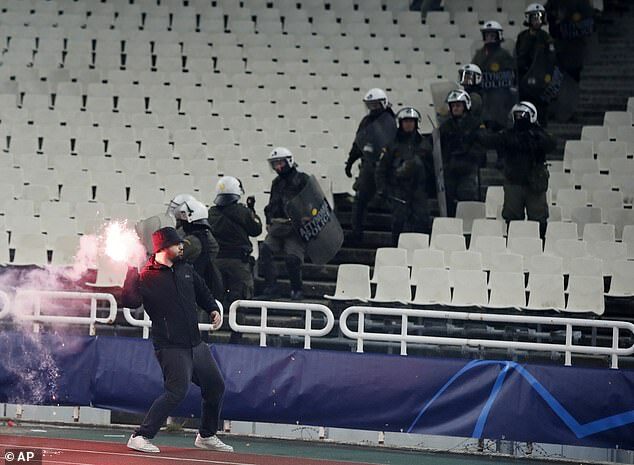 UEFA have charged AEK Athens and Ajax after bloody fan violence marred their Champions League group stage game on Tuesday night. 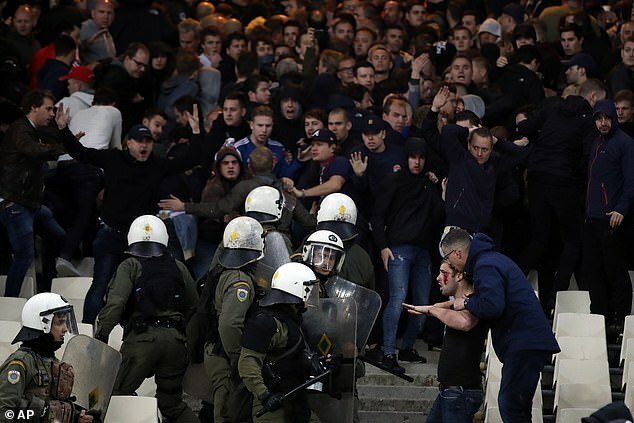 UEFA say their disciplinary panel will meet on December 13 to judge six charges against AEK, including crowd disturbances, and two against Ajax. 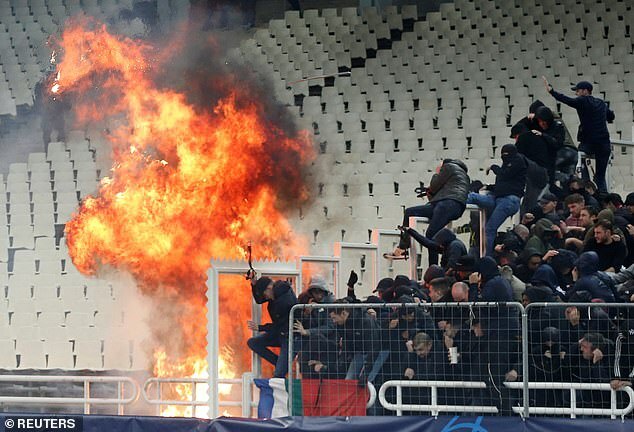 A petrol bomb exploded into a ball of fire near the section of visiting Ajax fans at the Athens Olympic Stadium, and flares and smoke canisters were thrown. 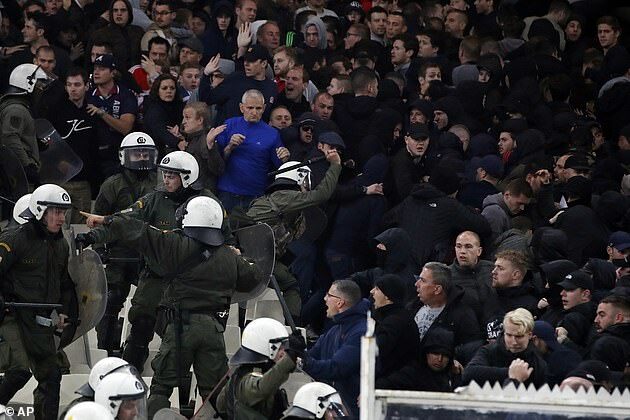 Riot police clashed with fans in the stadium and in Athens ahead of the game, which Ajax eventually went on to win 2-0. 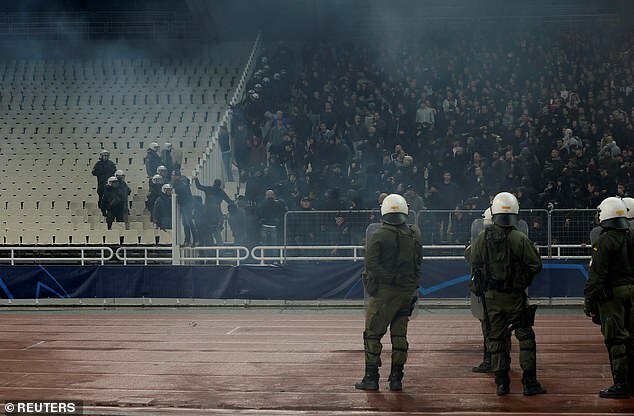 AEK face a potential stadium closure, though their next home European game will not be this season because they are set to finish last in Group E.
Ajax fans could be banned from the Round of 16 away game as part of a previous sanction for disorder at Benfica this month. 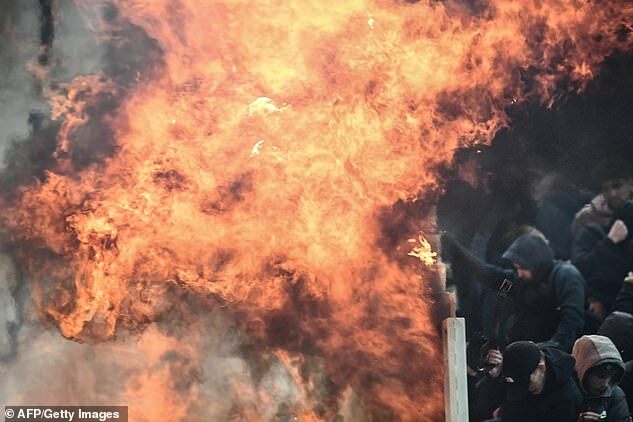 No arrests were immediately reported but Ajax fans were also the target of flares thrown by AEK fans, with one seen brazenly launching a missile into the stands in plain view of riot police standing nearby. He was then filmed running away from the scene as Ajax fans threw the firework away from danger and into an empty block of seats. The authorities managed to curb the disorder in time for kick-off, meaning the match went ahead as planned, though a series of firecrackers were heard exploding just after the start of the second half. But earlier riot police had entered the away end, brandishing batons and shields and leaving a number of fans with blood pouring down his face. As anarchy reigned before kick-off, even players tried to intervene to keep a lid on proceedings. 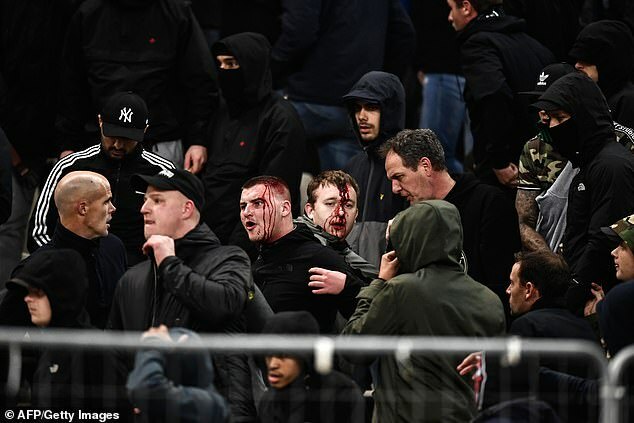 Ajax defender Matthijs de Ligt was pictured over towards the away end to try and prevent further violence. Players from both sides were seen to be rubbing their eyes as smoke drifted across the Athens Olympic Stadium. Though they were surrounded by row upon row of empty seats, Ajax supporters could be seen crammed inside a small section of the stadium.